The same city officials who made news by threatening to tack deadbeat tenants’ water bills on smaller landlords’ property tax bills are now trying to explain why they failed to collect money owed from larger landlords. 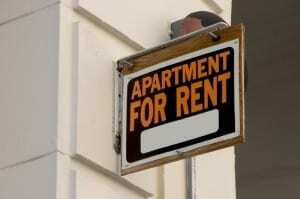 The move was exposed by a local reporter investigating why cash-strapped Pittsburgh wasn’t calling in hundreds of thousands of dollars due from landlords involved in subsidized apartment projects. The city is calling it an oversight. Recently, Pittsburgh officials angered local landlords by proposing that tax liens be filed against the landlord in the event a tenant fails to pay the water bill. That way, the city would not have to pay the cost of collecting the money from the tenants directly. After heated protests, the city council postponed a vote on the controversial measure that many smaller landlords say will break the bank for them. Yet, through a series of missteps, the city apparently is sitting on uncollected bills worth considerably more money. According to the report, the apartment developments in question were part of an effort to convert run-down public housing into mixed-income communities. In these developments, low-income tenants pay 30 percent of their income in rent while more affluent tenants pay market rates. The land which houses these apartment complexes is publicly owned, so they are technically tax exempt. In lieu of taxes, the landlord agreed to make annual payments to the city based on a percentage of market-rate rents collected–payments estimated in the five-figure range. But the bills never came. The landlords claim they’ve been holding the money in escrow, waiting for an invoice from the city, and that they are happy to pay what is owed. However, the city did not send out bills until the news reporter began asking about the arrangements, according to the report. The CEO of one of the landlords confirmed that he received the first letter only days ago. He said it was not actually a bill for a specific amount, but rather a request to do the agreed-upon calculation and make the payment. After discovering that competitors have been allowed such a break, local landlords who are assessed property taxes for the same business activities are furious, according to the report.